This decision to take CLAT exam should be a well informed one. Take help from your family and friends to decide if law is the best option for you. But once you decide and start prepping, you should know that there is no turning back. You have to be determined in your goal to prepare for this test since it is not a cake walk. The exam, while not tough like Civil Services or IIT-JEE, is still a highly rated aptitude test which requires constant hard work and perseverance. But with constant dedication and discipline, the candidate can easily crack this exam. With the help of a coaching centre, the candidate can perfect their problem solving skills and easily crack the exam. There are several centres for CLAT coaching in Delhi and CLAT coaching in south Delhi which provide quality study material which is taught by experienced teachers and professionals. CLAT coaching centres in Delhi and south Delhi offer many advantages. These coaching centres often small batch sizes which enables the teachers to pay closer attention to the individual students. They can help the students on a more personal level rather than simple classroom discussions. They provide good study material which is vetted and checked to ensure that it covers the whole syllabus for CLAT. The teachers are themselves experiences and highly qualified who help the candidate navigate through the voluminous course with relative ease. At times, some of the teachers are lawyers themselves thus understanding the practical aspects of the concepts which ultimately enables them give an in-depth explanation of the concepts. Many of the CLAT coaching centres in Delhi have good infrastructure which facilitate a more interactive type of learning style. The classrooms are equipped with branded projectors and computer systems that can make grasping of concepts easier. They are usually very accessible in terms of their location so that the students can reach the centres quick and in a way which is the most cost-effective for them as well. These CLAT coaching centres in Delhi have good reputation since they have a lot of ex students who have been top rankers in CLAT. Almost all of them advertise their previous students' ranks in and around their centres. They have regular classes (depending on the type of program chosen by the candidate) which include classes for different things. For instance they have separate classes for interactive doubt clearing sessions and many classes solely for the purpose of revision. Lately, the centres have also started the practice of engaging separate classes for the mathematics section so as to help the student combat their 'math phobia'. A big benefit of the CLAT coaching in Delhi and south Delhi is that almost all of them offer crash courses among their different study programs. 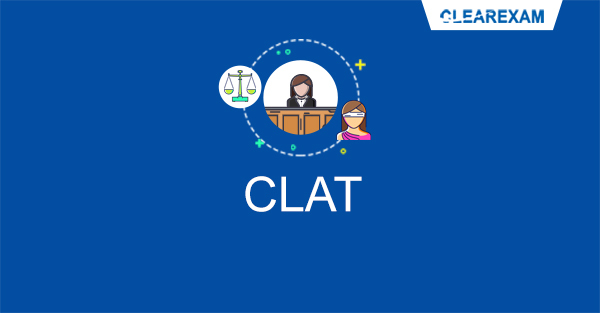 CLAT crash courses are basically short term engagements with the institutes where they cover the whole syllabus for the CLAT in a period of 1-2 months. Such crash courses prove to be the most helpful in cases where the students have either decided late to pursue law or they think that they have not been able to cover a lot in cases where they are preparing on their own. Recently, many institutes have also started with CLAT crash course online whereby they provide the study material and other course books via mail after the students subscribe to that particular program on their website. This is, in my opinion, one of the most efficient ways to prep for the exam since this way the student will be able to save time spent in travelling and help root out the negatives of classroom coaching. The CLAT crash course online series is also becoming popular among students who cannot travel to Delhi and can therefore avail the benefits sitting at home. The fee for such online crash courses is also cheaper. Best way to make use of the crash course is to study on your own for a year before CLAT and then engage with a CLAT coaching institute in the last 1-2 months in a CLAT crash course to chisel out the skills. This is exactly what I did and this landed me in Gujarat National Law University. I studied on my own for a year and then did a crash course for 2 months. It helped me fill the knowledge gaps and brush up on the tricky concepts. Strategize: A good strategy involves a simple time table made by you for yourself and not the kind which we follow for a day and then forget about. Read Regularly: For efficient preparation, inculcating a reading habit is extremely important. You should read newspapers and periodicals on a regular basis. It will help in staying apprised with the latest news and current affairs from India and rest of the world. Personal Diary: Another tip I would like to share is to maintain a personal diary with you. The purpose of this diary is mainly to keep track of your progress. Revise and Review: It is important to revise regularly. The concepts will start to imprint in your mind and the whole exercise will become expedient soon enough. Students with CLAT coaching in Delhi should positively attend the revision classes. Mock Tests: The candidates should reserve the last month for taking mock tests. These can be online CLAT mock tests or previous years question papers. I think that if a student strategizes and plans out their study calendar smartly, they can crack this exam in one go without having the need to drop one year. I would like to clarify that I do not think there is anything wrong with dropping a year, but if you can, then you should maximise the benefits from the CLAT coaching institute and combine all your efforts to crack it in one go. The Common Law Admission Test is a highly rated aptitude test for law aspirants wishing to pursue higher education in the exceedingly coveted National Law Universities.